Alice has a nose for trouble, but luckily she's a fairy--a Temporary Fairy. She has a magic wand, fairy wings, and a blanket, all of which she uses to disappear, to fly, to transform her dad into a horse, and to turn his cookies into her own! There are still a few things Alice needs to learn to become a Permanent Fairy, like how to float her dog on the ceiling and make her clothes put themselves away, but she's working on it--sort of. 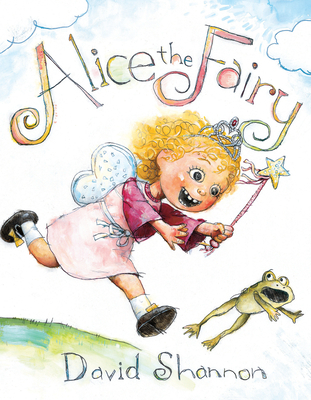 Here's an endearing, funny story about a girl and her magical imagination, sure to delight every fairy in training!